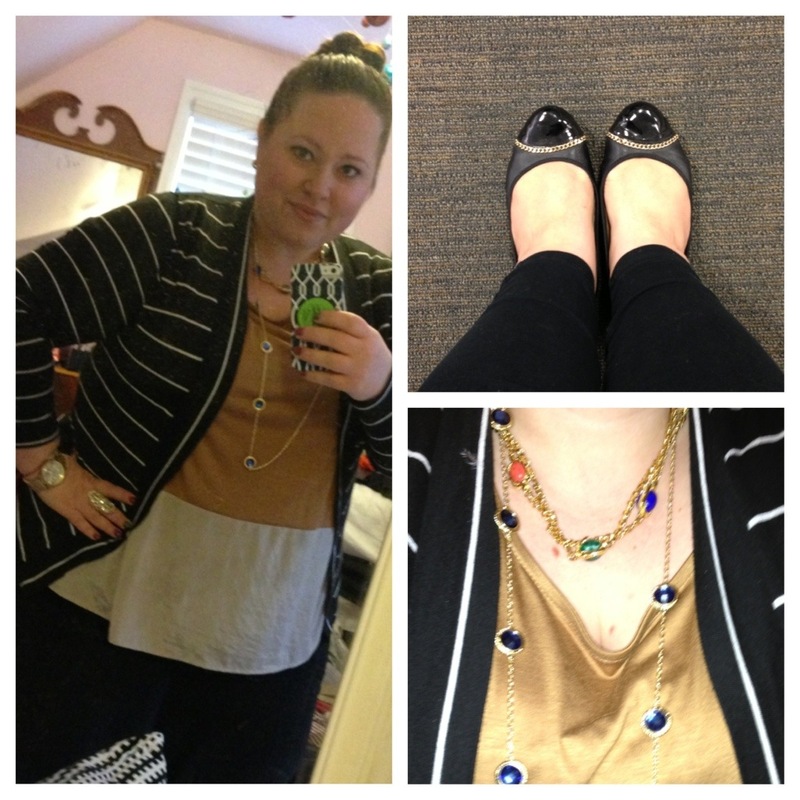 If you haven’t noticed by now, my daily uniform (of sorts) is pretty much leggings, a cardi, and flats. Then I pile some accessories on top. The day I wore this was sad and grey out, so I really needed to bring my own warmth and sparkle to the day. Enter a giant flowy golden top (which I would never normally wear with a cardi, but I loved it once I tried it!) and layers of gold everywhere. On my shoes, my wrists, my neck, EVERYWHERE! Hope you’re all having a great week (and staying warm if you live where I do)! No seriously, these Steve Madden flats are super cute with skinnies or sundresses, totally comfy (feels like being barefoot, which I love in the summer) and totally cheap! the fact that you can see your toes through the shoes? My favorite part. Are you loving that jellies are back or do you wish this is a trend that stayed buried?